Juan Mata has praised Manchester United for showing “character” with successive Premier League victories following last weekend’s derby disappointment. The Red Devils lost 2-1 to Manchester City at Old Trafford following goals from David Silva and Nicolas Otamendi either side of half-time to leave Pep Guardiola’s men 11 points behind Manchester United. The 20-time English champions bounced back from the disappointment of losing to the Premier League leaders and their bitter rivals with a narrow 1-0 win against Bournemouth at home mid-week. Summer signing Romelu Lukaku scored a first-half winner to net his third goal in 14 games in all competitions. The Belgium international was on the score sheet again on Sunday thanks to help Manchester United ease to a 2-1 win at West Brom to move back to within 11 points of Manchester City, who secured a 4-1 victory over Spurs a day earlier. And Mata, who made assists in Manchester United’s victories over Bournemouth and West Brom, believes the Red Devils have made an impressive return to winning ways instead of moaning about refereeing decisions. 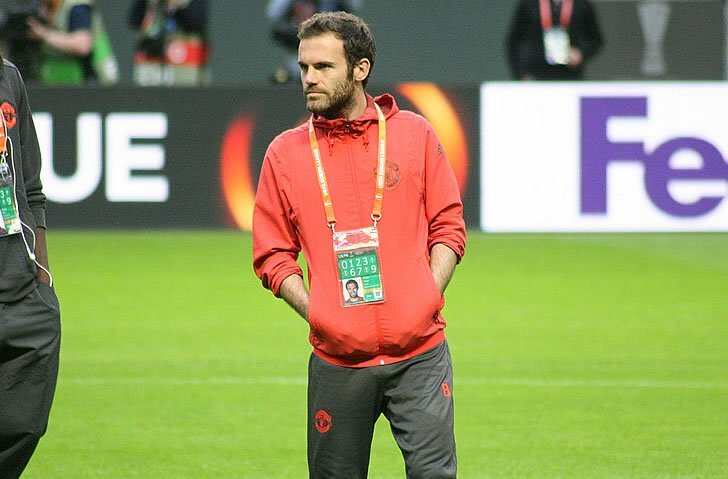 “We didn’t feel like remembering past games,” Mata wrote on his personal blog. Manchester United finished in sixth place in the Premier League table last term but won the Europa League and the League Cup in Mourinho’s first season in charge at Old Trafford.